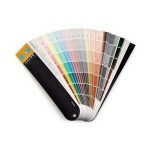 We offer a Free Mini-Samples so you can be sure of your color by sampling it before we begin painting. As a leading residential painting company in Chicago, Aardvark Painting Inc. will offer you a painting cost estimate and color consulting early in the process. This service is free (up to 3 colors) for contracted work over $1000.00. Mini-Samples are available at all major paint suppliers for about $5-$8 per pint and are the most accurate way to see what your color will look like on your painted surface.